In 1988 Thomas became responsible for Tuborg Christmas Brew, which then was considered as a very successful beer, selling 4 million bottles every Christmas. Studying the marketing data, and sensing the beers strong popularity – especially university campuses – I knew the potential was much higher than the 4 mill bottles Tuborg sold every Christmas. Since everybody was pleased with the sales (after all – it’s a seasonal beer) the marketing budget was fixed. So I had to come up with ways of creating free, cheap and fast awareness around Tuborg Christmas brew. Thomas created at basic strategy focusing on 3 legs: 1) PR activities, 2) consumer & trade events and 3) a very limited range of merchandise. 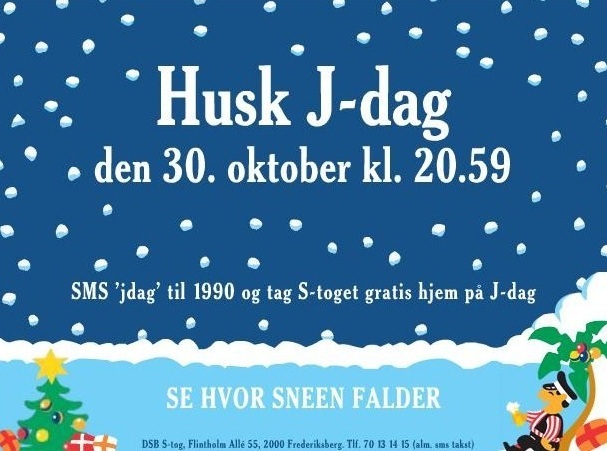 The whole idea was to give the Danes more than just a beer… and give the Christmas a ‘twist’, making April Fool jokes in November, produce collector’s items merchandise and all the other foolish things I loved myself. And from my years in Amagerbanken where PR was an important tool I knew that the press is more than willing to write about you if you give them interesting stories! Midnight releases, first bottling events for the restaurant owners, internal sold-out-events, fake press releases and limited edition merchandise became important parts of the campaign along with the unique visual universe that surrounded it all. 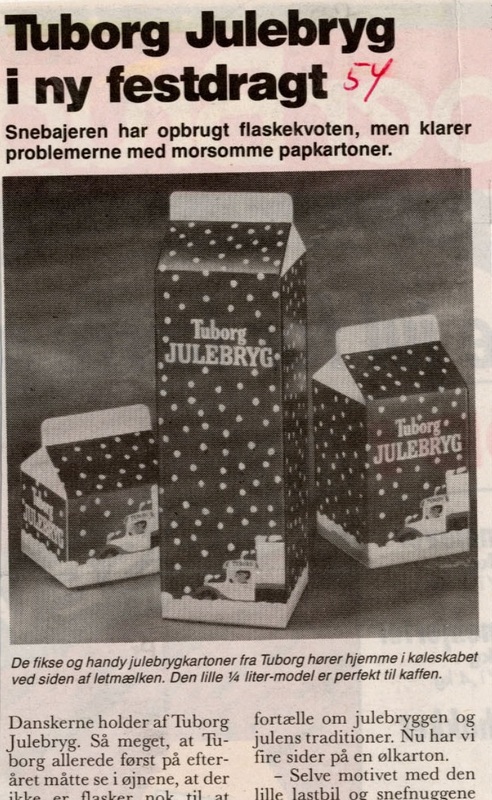 In 1993 Thomas (together with Art Director Henrik Juul and Journalist Jacob Ludvigsen) made a press release introducing the Tuborg Christmas Brew in a milk box. Denmark went crazy. The day before the release Thomas appeared on the most popular entertainment program explaining the promotion. 2,500,000 bottles were sold the following day. CNN got the whole thing wrong. Not knowing the Dane’s humor – they phoned him with a lot of technical questions about milk boxes for beers! They didn’t run the story! That year was crazy – the midnight release was bigger that Christmas Eve. The following week the Danish Parliament had the event on their agenda and ‘forced’ Tuborg to move the midnight launch from Wednesday to Friday where it has been ever since. In four years, a consistent strategy focusing on PR and events, along with traditional communication, made Tuborg Christmas Brew more popular than Santa Claus. With an annual sale of 40 million bottles, a market share of 75% and brand awareness of 100% Tuborg Christmas Brew became one of Denmark’s strongest brands and the biggest marketing success in the Danish beer market since the re-launch of Grøn Tuborg in the seventies. At the time of writing (2013) the Tuborg Christmas Brew (including the core campaign elements) is now launched in countries around the world. 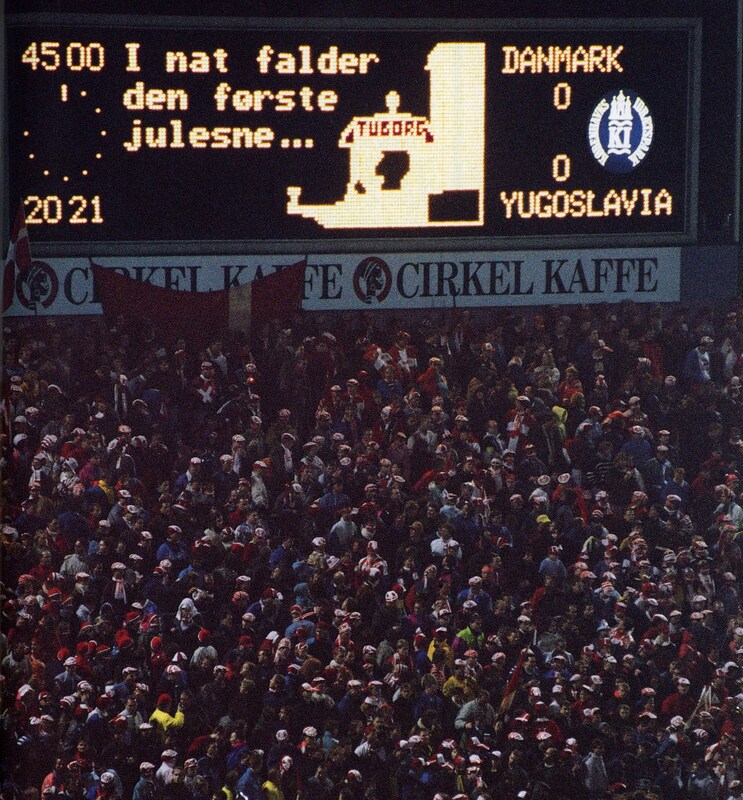 The last results at Copenhagen’s Old National Stadium. No Money – No Funny!